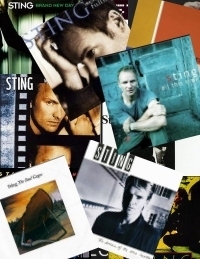 What is your favorite Sting solo album and why? Do you have a special connection to a particular album? Is your all-time favorite song contained on one of the albums? Do you own more than one copy ­perhaps one to keep at home and one to keep at the office or in the car? Don't spare any details ­ we want to hear from you! every song and every album are my favourites....and when i see a copy in some shop with a special price... i can t leave it there....i have to buy it,so i have double copyes especially abbout Police albums... It is just for respect! Summer of 1986, My girlfriend asked me to listen to the vinyl record of BOTN live album and I was blown away with "I Burn for You". Later that week, she gave a cassette version of the album (the version of CD burning in the 80's, which become my favorite cassette in my car. During the 90's I was invited on a local radio station in Manila to feature one of my favorite album and I played 3 songs from BOTN, I Burn for you, Moon Over Bourbon Street and Tea in the Sahara. When I migrated here in the US, I found a music haven called "Amoeba Music" in Sunset Blvd. where I got a vinyl and DVD of BOTN album. 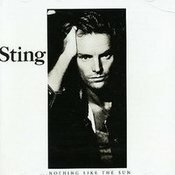 For me the live version of I Burn for you is the best version ever that's why I consider BOTN as my favorite Sting Solo album and the coolest album cover too. If you like "I Burn for you" like I do, find the first version (Last Exit era) which is very dark and yet powerful. I responded on this already , but somehow it has not shown up :( So a shortened more concise version of my repsonse the other day is this ... ( I did go on a bit...maybe thats why it isn't here :) Basically I could find something about each and every album that keeps me going back to it, connecting to it ...but "Nothing Like the Sun" has Fragile...and that song changed me as a person. It caused me, as a teenager, to look at people differently. Not just my family, & friends... But the person checking out my books at the library, or the person in front of me in line at the grocery... everyone has a story, everyone Fragile in thier own way. It is easy to be compassionate to people who are sweet and kind. But we all have bad moments or cranky days...some of us deal with very heavy stuff...So it moved me to show kindness and compassion...maybe even especially to people that seem to be having a bad time. Perhaps then, maybe lessening a persons fragility, and building them up..even for just that one bright small moment. As a very dramatic teen , "Fragile" made an impression on my heart that has stuck with me. Be a Bright Spot in Somenes day..reach out, show tenderness...for "How Fragile We Are.."
'Soul Cages' has to be my favorite. I fell in love with 'Why Should I Cry For You?' and it is still my favorite to this day. I have so many memories of driving and listening to these songs, but also of journaling while listening. Sting's songs brought me to a deeper level of creativity -- so much inspiration for my life. For me it has to be The Soul Cages. A magnificent album without a bad track on it. However, as winter comes round If On A Winter's Night will continue to get played a lot. Kudos to Sting for recording a more challenging album than simply churning out the standard carols or "Rudolf the red nosed reindeer". It's an enduring and interesting album and typical of the man himself. I was gifted a ticket to see Sting in Angers (France) just before Christmas 1991 by Becca an American student whom I had met whilst a mature student at the Université du Main in Le Mans. Becca was part of a group of students from Maine in the US and her kindness has never left me. Indeed she and her fellow students are never very far from my thoughts. Ever since then Sting has been a favourite of mine and I find his music has echoed much of my own life experiences. A line from 'I'm so Happy' when he is 'choosing stars' has a particular resonance with me. "If on a winter's night" is my current 'choice' album. My children have grown up with Sting's music very much a soundtrack, and I know that my daughter Caroline's favourite song is 'Why should I cry for you' although I'm not sure if she realises its significance yet. One more thing and something I learned only very recently - I share my birthday with Sting - he is exactly one year older than me. I love all Sting's albums for different reasons,his songs definitely read like the book of my life. The Soul Cages is my favorite and maybe my favorite album of all time. I find it to be his most personal work. Love the recurring themes with the sea, ships, and love. 'Mad About You' and 'Why Should I Cry For You' two of my personal favorites, but love every song on that album A close second would have to be Mercury Falling. Yes, I have one more than one copy of each of Sting's albums/cds. Some I still have the original album. All my cds have been copied and I do not listen to the originals. They are safely tucked away. My favorite album is Sacred Love! I saw Sacred Love Tour in 2004 in Italy and it was just amazing. Sacred Love is also the first Sting's solo album I've heard to! I have just one copy of it and it is autographed by Chris Botti! I enjoy every Sting record but the first three albums (Blue Turtles, Bring on the night, Nothing like the sun) were the ones that really blended with my DNA. I have also grown to love The Soul Cages more and more over the years and the ones I find least inspiring are Mercury Falling and Sacred Love. My favourite album is Nothing Like the Sun mostly because of the time of my life it was released. Lots of changes happening, good, great changes and I got to see Sting live for the first time on this tour. WOW I was hooked. All the songs bring back that time to me when I hear them and I remember watching Sting take his shirt off at the concert and my sister & I fighting for the binoculars! But my all time favourite song is Ghost Story from Brand New Day - I can't really put down in writing why! Sting hardly ever performs this song but last year in Vancouver for the opening of Symphonicity Tour I was in row 2 and he sang it! Although there was obviously a packed hall of people I felt like he was singing it just for me! What a great show that was and I can hardly wait for this next one Dec 8 in Vancouver! Best album top to bottom. Songs like "Heavy Cloud No Rain" and "She's Too Good For Me" could have been hit singles if not for even stronger tracks on the album. 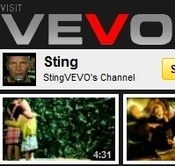 It was also a turning point in Sting's solo career. "The Soul Cages" wasn't as well received by the critics for its dark mood and TST started Sting on the path he has took through all of his solo albums through Sacred Love. A mix of different styles, writing songs telling different stories but having a common thread running through them. For TST that thread was there wasn't one. It's so hard to only choose one! I'll go with Dream of the Blue Turtles. It was one of my first albums and I still have my original cassette of it! Moon Over Bourbon Street has always been one of my favorite songs.I don't even like vampires...so that's a little weird I guess. I absolutely love this album! So many beautiful songs - amazing lyrics! Favorite Songs?? How do I pick? If I have to pick one - it has to be "Fragile." Other favorite songs - "Be Still My Beating Heart" - how can you beat a lyric like "Sink like a stone that's been thrown in the ocean. My logic has drown in a sea of emotion" ? "Lazarus Heart" is a beautiful tribute to Sting's Mom. Everytime I hear "We'll be Together" I picture the video, which I just love! "Rock Steady" is so much fun! All in all - a fantastic album! I have copies everywhere - in my car, on my Ipad, on my IPod. I even have a copy of the album framed in my office. LOVE the picture of Sting - so gorgeous!